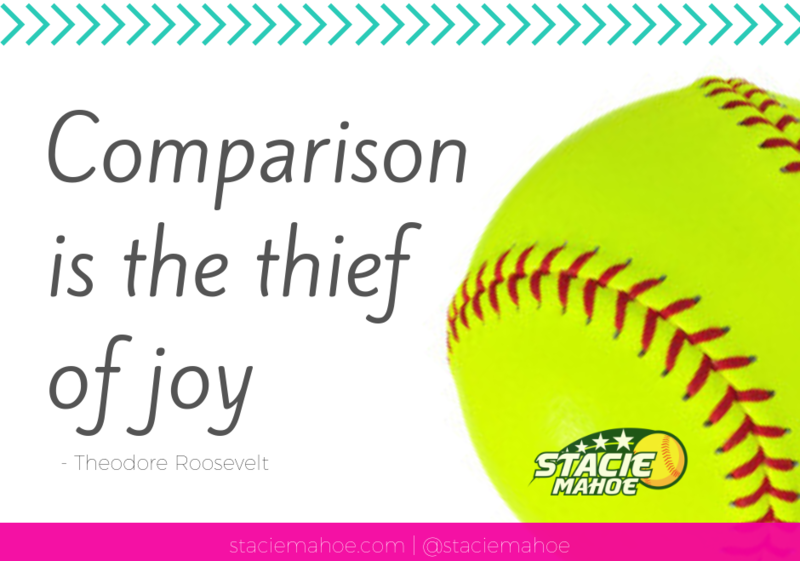 They say comparison is the thief of joy. Most agree that comparing yourself to others isn’t helpful. I’m going to suggest that you stop comparing. Period. Don’t even waste time comparing yourself to where you used to be or where you wish or think you could/should be. Before I had baby #8, I could squat with decent form. I could squat well above my own bodyweight. After gestating and birthing a baby, then spending most my time taking care of her and my other children, I spent 4 years away from the gym, away from picking up weights, away from squatting entirely. Now, my body has weaknesses that don’t even allow me to get into a solid squat without great effort. Now, my body protests squatting with an EMPTY bar. If I spend my time comparing myself to where I used to be, it simple doesn’t serve me. If an athlete gets injured or sick, and constantly compares where they are now to where they used to be, it just isn’t the most helpful use of their time, thoughts, or energy. Honor and acknowledge where you are NOW. Embrace the present while keeping faith and hope in regards to your future. Parents, this goes for us too. We need to stop comparing our children to others or to what we wish they could do, or to what we know they can do, but currently aren’t, or to what we think they “should” be able to do. It’s not really helpful to them or us to do that, and it’s quite frustrating all the way around. It helps to simply stay present in THIS moment. What is going on with them right now? What do they need right now so that they can move forward? How can you help facilitate that? Yes, mom and dad, your attitude and your mindset matter too. Are you developing on your own mental game as diligently as you try to develop your child’s?